A utility vehicle that is both luxurious and adventure-ready, the 2014 Volvo XC70 is a prime selection for Dallas buyers who enjoy travelling across the country in style. Roomy, the interior provides seating for up to five passengers and comes with practical features such as a luggage compartment floor with movable storage points. A slew of new package options and trim level additions also enhance the wagon's appeal, along with a collection of new stand-alone options on both 3.2 and T6 AWD models. To top off the freshly introduced features, the XC70 sports new exterior components for the new year, giving it an updated look car enthusiasts are guaranteed to love. New and improved the 2014 Volvo XC70 in Dallas dons a fresh grille design, front/rear bumpers, a lower intake and front/rear silver trim - acknowledged in numerous 2014 Volvo XC70 reviews. The tailgate has also been redesigned, sporting chrome accents and more distinct components, sprucing up the wagon's overall appearance. Other notable improvements on the exterior and to the mechanics include standard 17-inch Valder alloy wheels, a revised tire pressure monitoring system, an updated automatic transmission shift knob and two new exterior colors: Bright Silver Metallic and Crystal White Metallic. In addition to the XC70's exterior modification this year, the wagon also receives new package updates and standalone options. The Technology Package now comes with full auto brake and cyclist detection, while the Climate Package, acknowledged in several 2014 Volvo XC70 reviews, gains a three-spoke leather/heated steering wheel and a heated windshield. Both 3.2 and T6 AWD trim levels also receive new standalone options, including dual xenon headlamps with washers, an accessory prep cable, heated front seats, front/rear park assist and 18-inch Zephyrus alloy wheels (on 3.2 only). 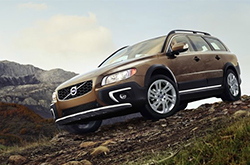 Keep reading to learn more about the 2014 Volvo XC70 in Dallas or visit Volvo of Dallas today! If you've ever thought about purchasing vehicles like the 2014 Subaru Outback, Audi Q5, Mercedes Benz GLK, Ford Flex and the Audi Q5 in Dallas, compare Volvo's new 2014 XC70 first; we're more than confident that it's an ideal fit for you. 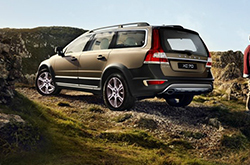 With user-friendly features and an marvelous design, shoppers will love the XC70. When compared to the competition, in terms of price it's clearly a fantastic value, making it a top choice among Volvo customers in Dallas. Find even more information about what it offers; see our quick-facts list for the XC70 - bullets under this text. 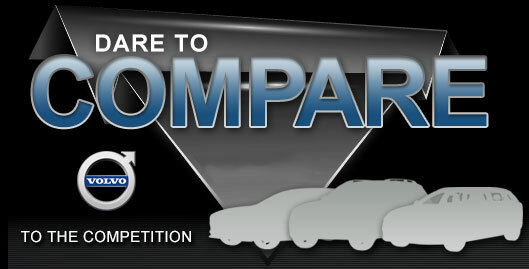 Can the competition beat the Volvo? 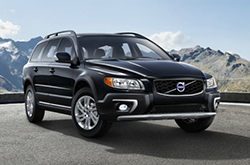 Do you want to know more about the 2014 Volvo XC70's features and specs? After reading the review above, visit Volvo of Dallas and experience the XC70 up close. Don't stress out over your next purchase; look to the leading Volvo dealership in Dallas for thoroughly researched reviews created by industry specialists. As you read this article, you'll see that it is crammed with accurate information about all the things you're looking for in the new XC70 - safety features and other specs included. Find out more about our wonderful series of vehicles; visit the research archive to review and compare other models on sale at Volvo of Dallas now!